« What does it take for me to post again? Cake. It looks great! My kids love sharing a room. 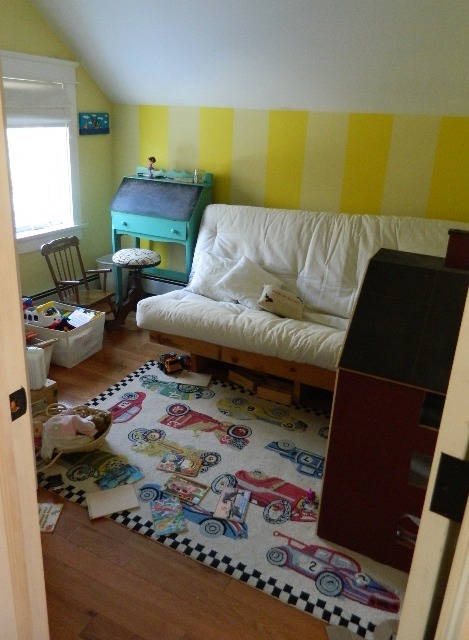 We don’t have room for a playroom because my husband needs his home office so the toys are still all over the living room but it is nice just to tell them to go play in their room. Great looking rooms and Great idea…….. Can’t wait to see it this summer !!! Hi, Cherie! Happy New Year! What a delightful solution. 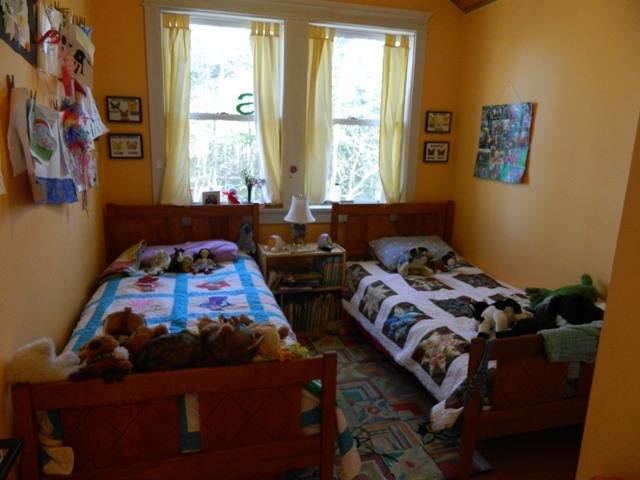 And I just love the quilts on the twin beds – they are so lovely. I am loving the yellow striped walls! Oh, yeah. That’s a holdover from when we painted it to be Annabel’s nursery…six years ago! We are very lazy painters.� It’s held up pretty well, considering, and I still like it. Cherie, you called it right, “cozy”!